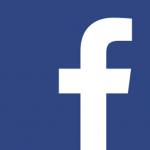 You have found us which is fantastic. We can help make an overwhelming time a little less daunting. A good starting point is our Hip Dysplasia Toolkit with information for people impacted by hip dysplasia across the lifespan. 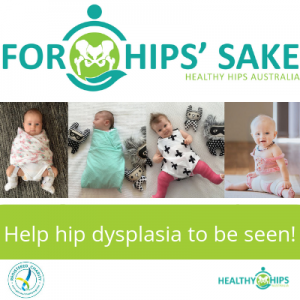 To help connect families impacted by hip dysplasia in Australia to our organisation, we make available, to service providers working with these families, Healthy Hips Kits for DDH Kids information packs. These provide an overview of our resources for hip kids and their families, and are designed to connect newly diagnosed families to us. Not from Australia? That's okay, we still welcome you to our community and hope you find the resources on our website helpful for your hip journey. The hip joint is made up of a ball and socket; the femoral head of the thigh bone (femur) is the ball and the acetabulum of the pelvis is the socket. Loose ligaments around the joint can allow for misalignment of varying degrees to occur. The hip joint is classified as displaced when the ball and socket do not fit together in their 'normal' position. Sometimes this is due to abnormal development and/or lack of growth.Left undiagnosed however, it is one of the leading causes of early-onset arthritis of the hip. 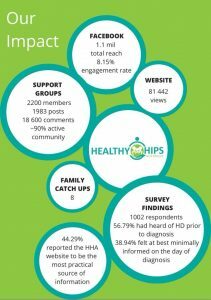 Our ability to put hip dysplasia on the national agenda depends on passionate people volunteering their time, talking about their experiences and supporting Healthy Hips Australia through fundraising. 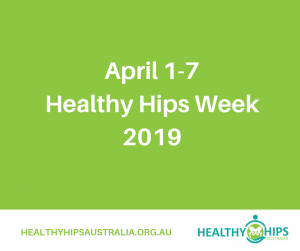 Lets talk hips this April 1st - 7th! Over the past few years, late diagnosis of the condition has increased; whilst not life threatening, it can be life changing. Our mission is to increase the availability and accessibility of resources, education and support for people working with and impacted by hip dysplasia. Together we can make hip dysplasia less overwhelming, and put it on the national agenda. Donations over $2 are tax deductible. 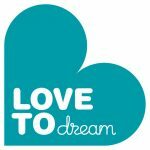 Help spread the word, make a donation, become a Corporate Sponsor or join one of our working parties. These are just some of the ways you can help.